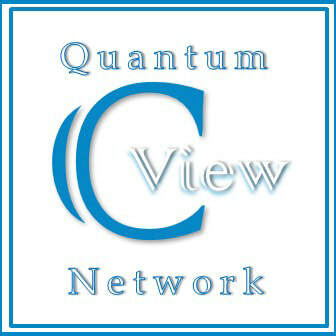 C View (formerly Charlotte View, Charlotte View Internet Radio, or any other variation that pertains to this entity) is not affiliated to any political party, organization or group. It is an independent company. All the opinions expressed during our shows are those of the hosts and are not meant to support political campaigns, oppress ideologies or deny those opinions expressed by the guests. Prior to Shows being on the Air, the jpeg images included and show description have been revised and approved by the guests. The Show is not responsible for any image/written rights violation. All guests are held responsible of their own opinions and agree on the principle of respect and restrain of comments that could be seen as obscene, indecent, offensive, libelous, hateful, racially or ethnically offensive, defamatory, unreasonably violent, threatening, intimidating or harassing; contains falsehoods or misrepresentations that could damage C View o or any other person; advocates or encourages any illegal activity; etc. Please be clear about this. We will not take responsibility, in any way, for any decisions you make based on any professional advice, consultations, therapeutic mention, psychic reading or spiritual guidance you receive from our shows. Please note that our readers, intuitives, practitioners are not doctors, psychiatrists, psychoanalysts, psychotherapists, financial planners or lawyers. Unless they can provide legal status, they do not hold any qualifications in any of these disciplines, nor are they a member of any professional body in such a discipline. Anyone in need of medical, legal, financial, or psychiatric help should consult a doctor, lawyer, psychiatrist or minister of religion, depending on what country they live in. Through their show pages they are able to link to other websites, Social Sites, Emails, Links etc., which are not under the control of C View. We have no control over the nature, content and availability of those sites. The inclusion of any links does not necessarily imply a recommendation or endorse the views expressed within them. If you are facing a life crises, it is recommended that you seek appropriate professionals to assist you, as we cannot be held liable for your emotional distress. As no psychic/medium/intuitive is 100% accurate it is important to note, that all predictions can change due to circumstance, personal choice, and psychic misinterpretation. The information contained in these affiliate pages within C View is for general information purposes only. The information is provided by our affiliates and while we endeavor to keep the information up to date and correct, we make no representations or warranties of any kind, express or implied, about the completeness, accuracy, reliability, suitability or availability with respect to the affiliate pages or the information, products, services, or related graphics contained on their pages for any purpose. Any reliance you place on such information is therefore strictly at their own risk. In no event will we be liable for any loss or damage including without limitation, indirect or consequential loss or damage, or any loss or damage whatsoever arising from loss of data or profits arising out of, or in connection with, the use of this affiliate pages. Through this affiliate pages you are able to link to other websites, Social Sites, Emails, Links etc., which are not under the control of C View. We have no control over the nature, content and availability of those sites. The inclusion of any links does not necessarily imply a recommendation or endorse the views expressed within them. Every effort is made to keep the website up and running smoothly. However, C View takes no responsibility for, and will not be liable for, the affiliate pages being temporarily unavailable due to technical issues beyond our control.